Dr. Crystal Karakochuk is an Assistant Professor in the Faculty of Land and Food Systems at UBC. Her research program focuses on the links of nutritional status and anemia, including the role of nutritional supplementation and of hemoglobinopathies in children, women, and families in Canada and globally. Her research lab performs comprehensive measurement and interpretation of indicators of anemia (hematological and nutritional biomarkers) and genetic polymorphisms associated with hemoglobin in individuals, families, and populations. She also studies the benefits and potential harms of nutrition supplementation policies and programs designed to treat anemia, including untargeted iron and folic acid supplementation in women and children globally. Steele S, Kroeun H, Karakochuk CD. The effect of daily iron supplementation with 60 mg ferrous sulfate for 12-weeks on non-transferrin bound iron concentrations in women with a high prevalence of hemoglobinopathies. Journal of Clinical Medicine 2019. doi: 10.3390/jcm8020180 (In press). Karakochuk CD, Hess SY, Moorthy D, Namaste S, Parker ME, Rappaport AI, Wegmuller R, Dary O. Measurement and interpretation of haemoglobin concentration in clinical and field settings: a review of current methods. Commissioned consultation review paper for the World Health Organization for the Annals of the New York Academy of the Sciences 2018. doi: 10.1111/nyas.14003 (In press). Samson KLI, McCartney H, Vercauteren SM, Wu J, Karakochuk CD. Prevalence of vitamin D deficiency varies widely by season in Canadian children and adolescents with sickle cell disease. Journal of Clinical Medicine 2018; 7(2): E14. Barker MK, Henderson AM, Naguib K, Vercauteren SM, Devlin AM, Albert AY, Bahizire E, Tugirimana PL, Akilimali PZ, Boy E, Green TJ, Karakochuk CD*. Serum soluble transferrin receptor concentrations are elevated in Congolese children 6-59 months with glucose-6-phosphate dehydrogenase variants, but not sickle cell variants or α-thalassemia. Journal of Nutrition 2017; 147(9): 1785-94. Karakochuk CD, Barker MK, Whitfield KC, Barr SI, Vercauteren SM, Devlin AM, Hutcheon JA, Houghton LA, Prak S, Hou K, Chai TL, Stormer A, Ly S, Devenish R, Oberkanins C, Puringher H, Harding KB, De-Regil LM, Kraemer K, Green TJ. The effect of oral iron with or without multiple micronutrients on hemoglobin concentration and hemoglobin response among non-pregnant Cambodian women of reproductive age: A 2x2 factorial double-blind randomized supplementation trial. American Journal of Clinical Nutrition 2017; 106(1): 233-44. FNH 455: Applied International Nutrition: The aim of this course is to provide a critical examination of nutrition interventions in the global health context. Students are required to actively participate in discussions and to work in teams to apply learned knowledge and complete an international nutrition intervention proposal. FNH 470/475: Foundations of Nutrition Care I & II (co-instructed with Heather Woodward): This course focuses on the etiology and pathophysiology of and nutrition therapy for selected diseases and conditions, and skill development related to the Nutrition Care Process. The course is restricted to students in year 4 of the Dietetics Major. 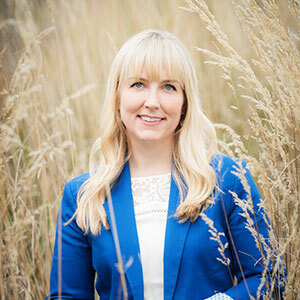 Dr. Karakochuk has worked as a Clinical Dietitian at the BC Children’s Hospital, as a Dietitian Manager for Pregnancy Outreach Programs in BC, and as a Regional Nutritionist for the Canada Prenatal Nutrition Programs in Inuvik, Northwest Territories. She has also worked internationally as a Nutritionist for the UN World Food Programme (Rwanda, Malawi, Ethiopia, Italy HQ) and UNICEF (New York HQ, Timor-Leste) in humanitarian aid, operations research, and nutrition programming.